With an easy-to-hold compact design, the Opticron 8x25 T4 Trailfinder Monocular is outfitted with a small objective lens and space-saving roof prism to produce an optic that fits comfortably in the hand, yet remains versatile and portable. Added to that, are features that boost performance for a wide array of uses in challenging environmental conditions. These features begin with BAK4 roof prisms and broadband fully multi-coated optics that work together to deliver bright and clear high-contrast images with accurate color rendition through the entire visible spectrum across its generous field of view. For those who want to make detailed observations at close range, the T4's minimum focus distance is under 5 feet so viewing nearby birds, bugs, flora, and fauna is comfortable and easy. A long eye relief and comfortable exit pupil, when combined with the optical performance, present the user with an immersive observational experience in the field, on the range, at the arena, or just sightseeing around town. 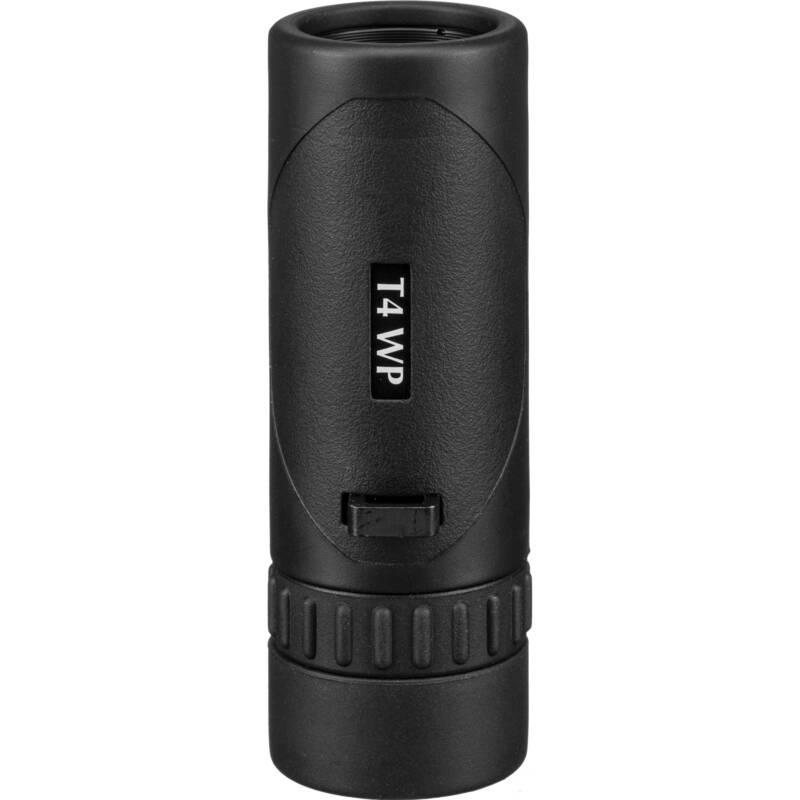 With the T4 monocular, the light weight allows you to keep it at the ready in your pocket or around your neck for glassing on-the-go. The chassis is made of aluminum alloy to help keep the weight low without sacrificing strength, stability, or durability; and its optical tubes are nitrogen-filled and O-ring sealed to be waterproof and resistant to internal fogging. A protective black rubber armor provides a slip-resistant grip, with a textured palm pad added for improved grip security in cold and wet weather. Box Dimensions (LxWxH) 5.75 x 2.25 x 2.25"